In April 2016, the third Special Session of the United Nations General Assembly on the world drug problem took place in New York (also known as UNGASS 2016). The meeting was held as an answer to the call of a group of Latin American countries – Colombia, Guatemala and Mexico – to rethink and to reorient drug policy. The mandate given to the UN and agreed upon by the countries for this session was to assess “the achievements and challenges in countering the world drug problem”. Under this framework, the UN Secretary General, Ban Ki-moon urged the countries to have “a wide-ranging and open debate that considers all options”. Although the Special Session did not bring about great surprises or paradigmatic changes, it did make evident that the consensus around the prohibitionism – in its more repressive and hard version – has weakened. The agreement reached by the countries in UNGASS 2016, on general and wide-ranging subjects, includes a new language that moves away from the denominated “War on Drugs”; in addition, it opens the door to the flexibility to formulate and to apply drug policies in the national scope. From an historical and a Latin American perspective, these are not small changes and lay the way for progressive reforms. The main challenge to follow this path is to move from discussion and discourse towards concrete action and changes. 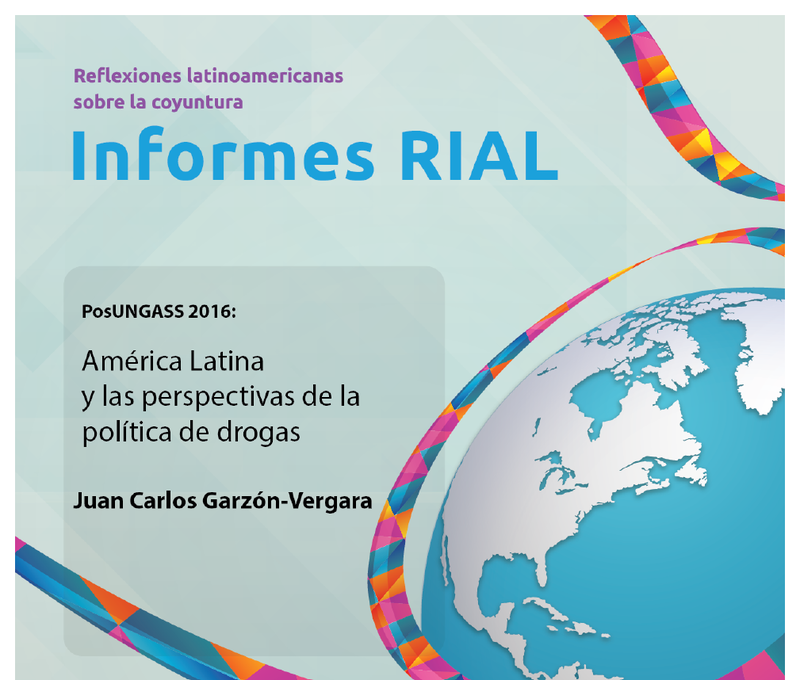 Through this document the Council on International Relations of Latin America and the Caribbean (RIAL) aims to take stock of UNGASS 2016 from the perspective of the countries of the region, identifying the lessons that this process left and offering a glimpse towards the future with concrete recommendations. The text you have in your hands is action-oriented, as a commitment to change and innovation in drug policy in the countries of the region.